Gertie's New Blog for Better Sewing: A Blog Makeover? Dude, where did the week go? Aside from organizing my sewing room, I've also been working on my final collection for my millinery class, which has been incredibly gratifying, creativity-wise. More to come on that front, of course. While we're in a bit of a sewing lull here, I wanted to ask you, dear readers, your opinion on a matter of blogginess (blogitude?). I'm planning an overhaul of this site, one that I think is long overdue. The goal will be to make the whole thing more navigatable (yup, coining new words is my thang today) and visually pleasing. There are 1,083 articles on this site, and no great way to find one's way around them. I'm most excited to be able to catalog my tutorials and sew-alongs in an user-friendly way. There could be other exciting components, like forums and a page specifically for my book. Frankly, what I'm talking about is a transition to a website with a blog as its main content. I sometimes hate change, so this is a little terrifying to me. I'll always consider myself a blogger first, so I would never want the focus to stray from that. The fun part will be the design! I like the look of my blog as it is, but we can all use a little makeover now and then (pink hair, anyone?). The design and illustrations of my book are a guiding force for me here: quirkily, elegantly vintage. As readers, how would you like to see the site improve? I would absolutely love to hear your thoughts. Thanks for your feedback! P.S. In small changes, I've added social media/email icons at the top left of the homepage so you can find me elsewhere in the ether. Also, directly below the icons is a "search this blog" widget that will help you find old posts if you wish. Fun fact: the search terms "tailoring" and "cat" both get 8 pages of hits. Hmm. Gertie, this is my go-to site when I am looking up how to do a technique. I am used to it and I like it. That said, an easier way to find the articles and tutorials I need would be great. PS - I love the pink hair! I love your blog, too. Your content is always fantastic, and you're definitely an inspiration! That said, if you're looking for a professional to do the job of redoing your blog (or if you have hidden web development skills), I'd suggest a more contemporary looking website in terms of the layout (meaning, nix the sidebars and the traditional blog's page layout and have an website with thematic pages. It can be a website with a blog, rather than a site that is a blog.) Responsive design is definitely an option (meaning, that the content that displays shifts according the the size of the browser window.) Think about iPad versions and mobile versions. Gertie, I love your blog! Whenever I need help with a new technique, you are my go-to girl. I think that an easier way to navigate all of the info. here (like pages with tutorials, sew-alongs, techniques, your fabulous book, etc.) would be such a great way to see everything you have in just a few clicks! A makeover with tutorials and finished projects buttons would be handy. I'm sure you have loads of tutorials that can be catalogued into one place. Also a separate button for the Vogue sewing book makes which started it all off for you. By the way are you still interested in finishing the Vogue sewing book makes? I think your blog has become more than that over the years. If you're not loving that part than I don't think you should continue with it just for the sake of it. Why not ask some of your readers to do one of them for you!? A change to find tutorials would be awesome, there is so much information here but it is very hard to find. That is a change I would definitely support! I came to your blog originally because of the First Great Coat Tailoring Project. In fact, I'm hoping to tackle mine this Winter. So since I've dug through the search feature trying to find those old vlogs ... it's not easy. "Coat" and "Tailoring" bring up quite a number of blogs! If you have full-out series of blogs on any garment, could I suggest a picture of the final with the links to the series nearby? On a webpage, you'd probably have a page or two of just pictures. You have really contributed to the sewing community, and it would be great to be able to access your contributions more conveniently - but honestly - no one paid you for that, and if there's a little digging to be done, it's well worth the effort. PS I got the book. It's awesome. Serious squeeage. I read your blog from my reader and only come to the site if I want to comment or am on the prowl for more sewing blogs to read. But I do like the traditional blog set up where you can read the whole post without clicking "read more." Or even two or three full posts before clicking away. Gertie I think anything that makes it easier to navigate or search is welcome. Your sucess is because of your content. I dont think looks matter as much as content. I am hoping that 2013 brings a Gertie Millinery Section. Complete with inspirational picture, tutorials and sew-a-long. I think it would be very helpful having buttons to click on for the different categories, sew-alongs, tutorials, etc. I love the look of your blog as is; so I don't have any other suggestions. I would recommend keeping your blog roll visible because I and I am sure others find it very useful when searching for other blogs to visit. I find it a great resource. Thank you for asking for our input. Your blog is definitely one of my favorite. I think you've done an amazing job so far. As the saying goes, "If it ain't broke, don't fix it." It may need just a little tweaking as far as making it easier to find older posts as you stated. I really appreciate all of your hard work to make such a wonderful blog and all of your tutorials, sew-alongs, online classes and book. I just wanted to add that I really prefer the blog format. I find it more personal. I am not real big on a professional/website look. It doesn't feel as warm and friendly. I feel so at home on your blog. I read it during tea time and just sit back, relax and enjoy. (I never miss a post) You appear as a real person, down to earth, accessible and someone I could be friends with and sit down and chat awhile. I am concerned that it could lose that feel. I have learned so much from you; but I don't just come here for the information. I come here because of you. Your fun and quirky personality come through so perfectly and really make my day. You make me smile, laugh and think about things I hadn't put much thought into before. That's the great thing about blogs. If you really want a website for the business side of things, I am sure you could do that as a separate thing so you could advertise your book and then it could have a link to your blog. I see many businesses do that. That way you don't lose that personal touch and become too commercial like. Just my thoughts. Thanks for taking them into consideration. I think that your book design reflected on this blog would be brilliant! Once you set up the framework, you can always change the images!! It's going to look gorgeous! You should considering creating your own personal blog to tie in your 'My Little Pony' and pink hair more! We all love reading about that stuff too!! yes to everything! Something more user-friendly and linkable would be fantastic. You know on top of your every day awesome! Big fan of yours! I agree with the above posters, and I'm sure that there is a way to make your site more contemporary while keeping a personal feel. As someone with poor eyesight I; just wanted to suggest maybe using a san-serif font for the body and wider columns. It's amazing what you have been able to do with your current blog layout, so I also vote to 'grow' with more searchable and organized content. Adding your book art? YES, that would be awesome. As a reader, I would be OK with a website that feels more like your book but has a blog, something bigger than what you have now will work fine because we can all go straight to a blog if we don't want to see what your other pages are up to. Thank you for fixing the search feature. I have tried using it in the past, and was very disappointed to get no results for any search term. Maybe less clutter and a simplified design. I think the way Coletterie and Sewaholic have pretty good layouts, as does Tartelette (http://www.tarteletteblog.com/), and Bakerella (http://www.bakerella.com/). I'd say go with something with a more unified theme and maybe a better font, with a bigger banner (or just have a really large text title that blends into the background). It could be fun if your banner/links were handwritten, but at the same time you'd run into the usual issues of having an image link vs a text link. I really liked the layout of your book so I'd like to see that same aesthetic reflected on your site. Those are just some random thoughts, I have a small obsession with blog layout, I feel like it's a big factor in how blog material is interpreted. I would love love love a way to easily find all the tutorials for specific project. Right now it's tricky to figure out how to get all the tutes for say, The Lady Grey. I second the notion to really think about tablet and smartphone use. It would be great to be able to view the video tutorials on an ipad as one sews. Yes to website upgrading! Excited to see what you come up with. 1. I don't have to click on a "read more" thing to see a whole blog entry. 2. The constantly updated links to great sewing and style blogs. I'd love bigger pictures (at least 640px wide) and if you have time, very short video tutorials! I am teaching myself to sew and the tutorials I find online tend to be likes 7 minutes long to teach one pretty simple thing. A series of very short tutorials would get a ton of views. I got your book last week. Love it! I like the idea of using the drawings from the book on the site. I think keeping the blog the main thing is good, but have links to access previous and current sew-alongs and tutorials. Having a picture of the garment would be good. I think a link to the garments from your book and the Vogue book would be great. I think whatever changes you make the most important thing is to keep the personal touch. Oh wow, there is nothing there but contact info (for now). I was looking forward to seeing the "fresh look and photography". Wonder when/if she'll be back up and running? Can't wait to see a millinery update! I think a thoughtful redesign would be great. I look at your old blog posts all the time (just this morning I read up on stay-stitching and stabilizing necklines), but I usually use Google to find specific entries rather than your site itself. I think an organized catalog of tutorials (especially) would be great. It would also be great to see a project gallery - where I could click on "crepe sew-along" or "red satin sheath dress" and see all the entries associated with each. I'm sure you've considered it already, but the Coletterie blog over at Colette Patterns is super-useful. I like the giant "TUTORIALS" button, for example. Sorry, no helpful suggestions from me; just a note that the word is 'navigable'. I love the illustrations in her book and I think they would look great on your blog.Like Crftmatic Beth I like the Giant Tutorial buttons on the Coletterie blog. I also like have the search functionality to go to aricles. Good luck working it out. Yay! I love organized blogs because it makes it so much more easier to find all the posts about one specific project or just to have all the tutorials in the same place. Can't wait to see how the remodel goes! I owe everything I know about sewing to my mother and the internet..... and there is such a huge gap I still need to fill. People like you that put tutorials on their blogs are like fairies to me - granting wishes. Any method you can devise that helps people like me in locating what we are looking for will be much appreciated. Having just gone through this, I can appreciate how much work it is to make a change. It's like building a house - the designer asks how many electrical outlets you want, what layout for the bedrooms, do you want lights in the closets and it just goes on and on. In the end, I did not even launch the blog that was designed for me. I wasn't 100% happy with it, so I started over from scratch and set up my own (very simple) design. How humbling! Being a website designer is just one more thing I am not very good at, but at least I launched. So, in advance, I offer my empathy for the hard parts of the process and congratulations on the parts that go well :) Not much good advice, sorry, just my two little cents on the topic. I am sure it will be great! I like the idea of tutorials being easy to find, also cataloging what you've made, much like a recipe index. Also, any posts about skills you could file in a " back to basics" series. I am very new to sewing, and am still getting the hang of basic vocab, skills, etc. thanks! Well, I just really found your site and love it. I have been sewing for a long long time but I love your spirit and it inspires me to find my own. Good luck with the update. I will look forward to it. I would like to see tabs or buttons at the top that lead to different sections. Ex: Blog, Tutorials, Sew-Alongs, Book, About Me. The site looks great, but all things must change, grow, and morph! I would love to be able to easily find the Sew-Alongs. I was looking for them last week without much luck. And tutorials - always need easy access to those! I think redesigns and improvements are great... provided they actually solve something that you see as a PROBLEM. Otherwise, it is just more work. Long ago, someone told me that in business (since you actually do this for a living), it is best to make changes when you outgrow something (a space, a need, an employee, whatever), and you can actually calculate the advantage(s) of making the change(s) you have in mind. As creatives, we like to change sometimes... just because! So, I am all for change, but keep in mind that without a solid plan for how it will improve your (and the readers') experience, it could simply be more work. Congrats on the blog update! I love reading here, and often search for step-by-step instructions when I am trying a new technique. So, very excited to hear that tutorials and sew-alongs will be easier to find. My suggestion: once I've found a multi-part tutorial or sew-along, it would be awesome if I could then read through the whole thing instead of backing up over and over for part 2, part 3, and so on. Not sure if that is even possible, programming-wise, but it would be fantastic if it was. And on a related note, printable tutorials and sew-alongs would be great too; much easier to follow at my sewing machine. Agree with the suggestions about collecting together series of tutorials, themed but project, also by tasks such as button holes or zippers? I guess it would make sense if you are including a section on the book to have a link to any useful tutorials or videos available online for each of those projects too? It all sounds really exciting... I think you should also have an index or something on one page which guides you to what's where, but perhaps given the size of your site it might be too long! A gallery or forum for finished projects might, like a sew along, bring a whole new dimension as you can match your own problems to others. The web is a wonderful thing but I can imagine that you can be easily overwhelmed with the tasks that managing a site can generate, but onward and upward and if you need any testers you know where we are!! Love your site. I'm a fairly new reader here but I can't wait to keep reading. I would second (third? tenth?) the suggestions for organization by project and by skill. I already use your site that way (by clicking on the tags or searching) and a more structured "whole package" way to do that would be awesome. Even as a novice blogger this is exactly what I was asking Miss Gertie. I believe, I believe this wonderful blog will fly to the stratosphere with a makeover to WP (or any of the other good hosts) where she will have increased creative control than Blogger offers. I am still in learning mode; however, the blogging gurus I have been reading state Blogger to be good for perhaps first blogs, people learning the ropes. They all state when it comes to serious blogging a) Get your own URL; and b) Use a host like WP, Bluehost, GoDaddy, etc. Can't wait to see what Gertie comes up with. Hi - love the blog. I would be pretty exited about any improvements that make it easier to search for and find the incredible wealth of useful information. You may not have noticed this, but most of your post labels do not show up on your list of labels. This is the main reason that I find it hard to find certain posts. Could your possibly restore your labels? THANK YOU! I agree with those who would like to see all tutorials in on one section. And a comment on you recent avatar - it looks Ancient Egyptian! Gertie, I love your blog, I found it -luckily - a while after I started sewing, about one year ago and since then I am a regular visitor. Your blog contains tons of useful information, tips and hints, tutorials, advice etc for any sewist but it is difficult to find it. Many times I was not able to find something I knew it was here but could not remember exactly where. I think that improving navigation and the search function would be great for this site! This is tough because I love everything you post! The sew-alongs and tutorials are great, but I also look forward to those days when you simply write what is on your mind. Getting a glimpse of Gertie's World is such fun! 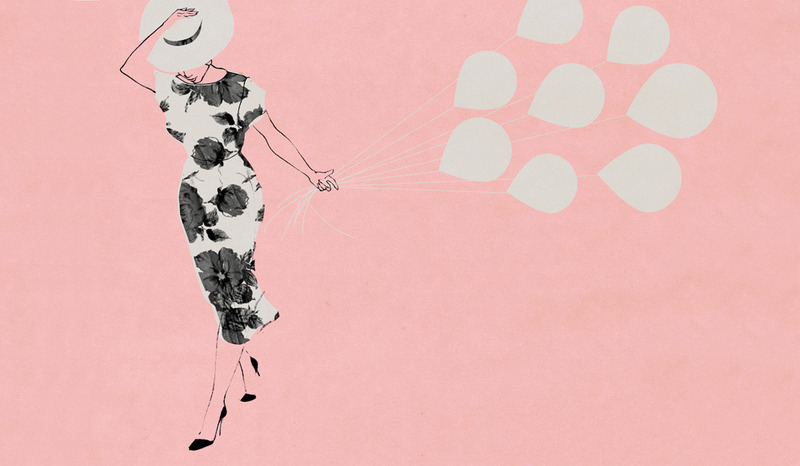 Like you, I'm a fan of Colette's Patterns and website. It is easy to find what your are looking for. Same for Sew Mama Sew. As others mentioned, don't try to re-invent the wheel. What you have is great as is, but it would be nice to be able to navigate around a bit easier! A blog makeover is always exciting! The best advice is to look at some of your favorite websites. as Shannon said you don't need to re-invent the wheel. Just take tips for current great websites, consider what you have and make it work to your advantage! Someone mentioned there are some faults with your labels. I am not sure of this but I can say it can sometimes feel overwhelming and busy. Maybe you can clean up anything that isn't needed for your site (example, advertisements, other links etc). Best of luck! Being able to find catagories like tutorials and sewalongs would be good. The only other thing I can think of is please don't go any lighter with the pink text. The We Love to Sew site is a great list of blogs, but I *can't* read half the text - pink on pink = Not A Good Thing! Your current setup may not be fancy, but I CAN read it. Oh - also thank you for no music when we come here!!! I love your blog Gertie, but I do find it difficult to find things and I'm sure there's loads of stuff that I haven't seen yet. At the very least an alphabetical index would be great. However, please don't sacrifice the content. I love your blog. Peter Lappin's blog, Male Pattern Boldness is where I found out about your blog. I wonder if you can use much from your new book, without having copyright issues with your publisher. I've read through all the comments and really, what keeps occurring to me is "how much time would all of this take to re-invent and to maintain?" When will Gertie have time to sew? I have no suggestions but appreciate your personality coming through. The pink hair is fun. You are very inspiring to so many of us. Please don't spend so much time on reinventing your blog that you don't have time to continue your remarkable creativity! I am always surprised you use Blogger versus hosting your own. Hopefully I am saying this correctly. It looks as if you have your own url; i.e., don't have to put blogspot.com in it, but would you not have more freedom hosting your own via Wordpress, Bluehost, GoDaddy or some such? Just asking. I love colors, easy navigation so I am looking forward to whatever you come up with. Best in the whole project, Miss Gertie. Exciting and awaiting with anticipation to see what you come up with.